OMG Samantha! I just saw the trailer and I literally screamed! It looks and sounds so epic that I got goosebumps all over. This is one of my favorite series of all time and your book trailers never fail to meet expectations. Your such an amazing writer. Did you know that :)? You should definitely know that I will read all the books your genius, creative mind creates as I am now a Sam X loyal fan! Thanks for your awesome words. SQUEE! That was so epic! I'm even more excited now! If that's even humanly possible! 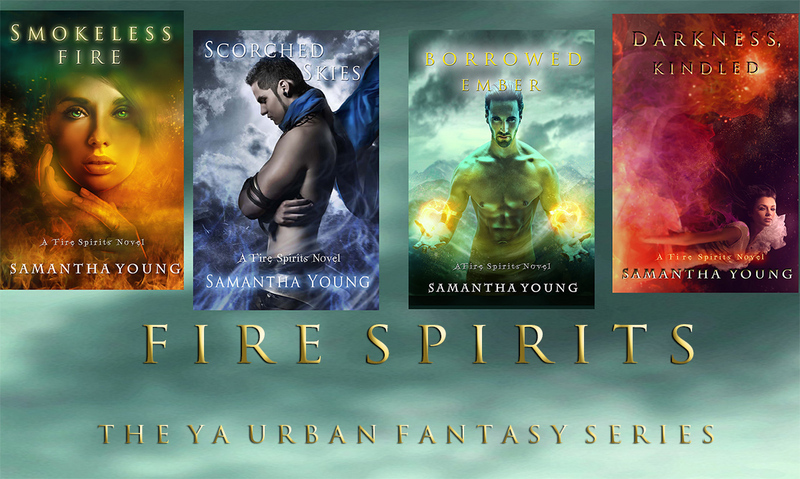 I stumbled onto your Fire Spirits series and I AM HOOKED! I became lost in the story and I seriously can not wait for Book 4 and plan to read EVERYTHING you've written! OMG! I read all three books in 2 days! I could not put them down, and now that I have finished the 3rd one I simply cant wait for Darkness Kindled!! I hope they end up making a movie out this series, it is sooo good! !